Balderdash! For so many reasons, which this article will explain in plain English. Calcium ALONE or with ONLY vitamin D (particularly the inadequate amounts of vitamin D used in the studies Bolland et al. include in their review) is unlikely to prevent fractures. Nonetheless, this “systematic” review was systematically set up to “show” that calcium, with or without vitamin D, is of no help at all in preventing fractures — and that really bothers me because it’s absolutely not true. First, I’m going to share with you the facts. What the studies Bolland et al. choose to include in their review actually show. Then we’ll talk about why what Bolland et al. did consider in their choice of studies to review is woefully inadequate, and what this latest attempt to talk us out of getting the calcium we must have for healthy bones actually confirms: our bones need not one, or even two, but the full team of nutrients healthy bones require to remain strong, healthy and fracture-free throughout our lives. Note that calcium supplementation, either calcium alone or with vitamin D, lowered risk of fracture in every single one of these studies. This is what the facts reported in this paper show, but not what you’ll hear in the press reports. Furthermore, only one of all the studies Bolland et al. selected to include in their review provided anything even close to a sufficient dose of vitamin D. Adequate vitamin D is required for humans to absorb calcium effectively. The one study that came close to supplying an adequate dose of vitamin D provided 1,600 iu/day, an amount that is just within the range of current Endocrine Society recommendations for healthy adults. The lowest dose of vitamin D now recommended by the Endocrine Society for healthy adults is 1,500 – 2,000 iu/day. In all the other studies considered by Bolland et al., dosages of vitamin D ranged from as low as 240 iu/day to 1,200 iu/day. A dose of 240 iu/day is ridiculously inadequate. In a number of the studies included in this review, dosages were 500, 600 or 750 iu/day. The majority of studies used somewhere between 800 – 1,000 iu/day. All the doses of supplemental vitamin D used in the studies included in Bolland et al.’s “systematic review” are inadequate dosages for virtually everyone. What were the blood levels of vitamin D in the participants in the studies included by Bolland et al. in their review? We have no idea if study participants’ blood levels of 25(OH)D (the form of vitamin D circulating in the blood that is used to evaluate vitamin D status) was even considered important for determining the dose of vitamin D that was given. Although all the doses used would have been inadequate for the “average” healthy person, according to Endocrine Society Guidelines. Participants’ actual blood levels of vitamin D, and therefore how much supplemental vitamin D might have made a significant difference in fracture prevention for them was not considered important enough to evaluate in any of the studies included in Bolland et al.’s review. This, despite the fact that, without adequate blood levels of vitamin D, you will absorb only 10–15% of the calcium you consume, whether from the diet or a calcium supplement. 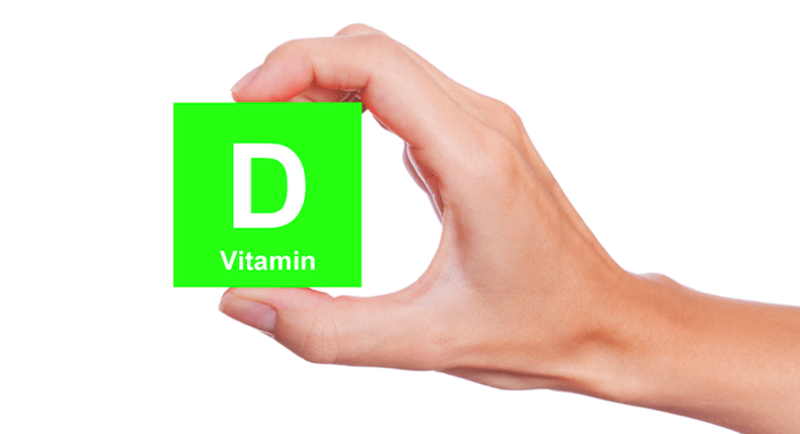 The latest clinical research on vitamin D has clearly demonstrated that vitamin D supplementation in the range of 1,000–2,000 IU per day is not enough to restore vitamin D to levels able to promote healthy calcium absorption in most individuals with chronic vitamin D deficiency—and this means many of us. According to the Centers for Disease Control more than 30% of children and adults in the U.S. are vitamin D deficient. Other research indicates incidence of chronic vitamin D deficiency is even worse, affecting more than 60% of Canadians and 36% of Americans. In addition, being significantly overweight or obese can double or even triple our vitamin D requirements. According to the most recent National Health and Nutrition Survey (conducted 2009-2010), more than two-thirds (68.8%) of adults are considered to be overweight or obese. More than one-third (35.7%) of adults are considered to be obese. More than 1 in 20 (6.3%) have extreme obesity. Almost 3 in 4 men (74%) are considered to be overweight or obese. Given these facts, do you think the inadequate (even for normal weight people) amounts of vitamin D used in the studies included in Bolland et al.’s “systematic review” were going to significantly improve study participants’ calcium absorption? And if you don’t do a good job of absorbing the calcium you consume, how is it going to help prevent fractures? And let me point out that, despite all of this, calcium alone or with vitamin D still lowered fracture risk in every single one of the randomized controlled trials in Bolland et al.’s review. The Results Could Have Been Much Better! Why? Because calcium alone, or even with vitamin D, is not sufficient protection against fractures! Bolland et al. also did not consider that vitamin D, while absolutely essential for our absorption of calcium, does nothing to regulate what happens to that calcium once inside the body. 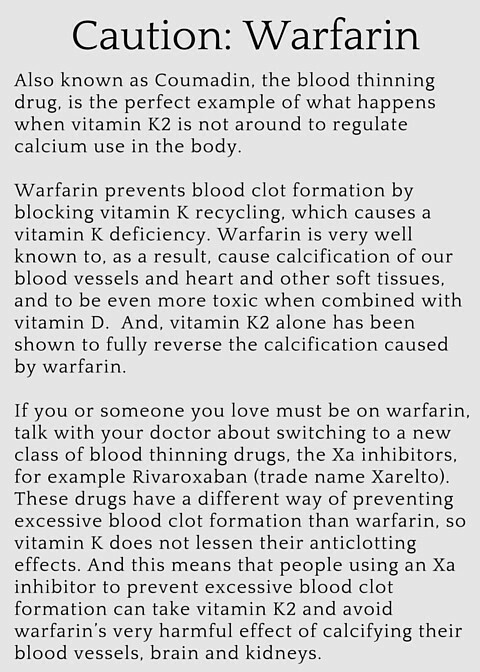 That is the job of vitamin K2. Vitamin K2 is the nutrient that we must have to activate the proteins responsible for delivering calcium to our bones (osteocalcin) and preventing calcium from depositing in soft tissues, like our arteries, heart or kidneys. Our bones require calcium, and we do a very poor job of absorbing calcium without vitamin D. But we need more than just calcium, even if accompanied by adequate amounts of vitamin D! Vitamin K2 is essential to prevent heart attacks, strokes and kidney stones in anyone supplementing with calcium, especially if they are also taking vitamin D.
A potentially harmful result of taking calcium along with only vitamin D is that doing this increases our need for K2, as mentioned above, because vitamin D increases our production of not yet activated osteocalcin and matrix Gla protein. When we take vitamin D, levels of inactive osteocalcin and matrix Gla protein increase in our bloodstream and throughout our cardiovascular system, but they are useless without K2 to activate them. Not only is calcium not delivered to our bones, which become porous, but it is likely to be deposited in the arteries, which become calcified, and also to overload our kidneys, promoting stone formation. Using calcium healthfully – to build bones, and not calcify arteries or kidneys – requires a team effort. Your Bones Need a Team Effort. Hut, Hut, Hike! A football analogy might help here. Vitamin D is the quarterback. Vitamin K2, or more specifically the vitamin K dependent proteins, osteocalcin and matrix Gla protein, are the wide receivers. 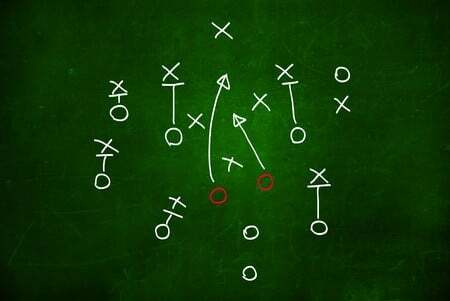 If plenty of K2-activated receivers are on the field, vitamin D can easily pass the calcium football, either to osteocalcin for a bone-building touchdown or to matrix-Gla protein to prevent the calcium football from ending up in the arteries or kidneys. When K2 is lacking, our vitamin D quarterback still has to offload the calcium football, but has no K2 receivers ready to accept a pass. Osteocalcin and matrix Gla protein, are sitting on the bench, inactive. The latest Bolland et al., attack on calcium, with or without vitamin D, is just more of the same — ill-informed, unaware of (or refusing to acknowledge) the research – misinformation. It’s a spiffed up version of the Emperor’s Clothes because they added in (an inadequate amount of) vitamin D, but Bolland’s Emperor is still naked! So, it’s time, once again for a reality check, time to again suggest Bolland et al. consider some key facts about how human physiology works — because he certainly didn’t get the message several years ago. And because Bolland and his co-authors didn’t read the research or chose to ignore reality – i.e., the interactions among calcium, vitamin D and vitamin K2 — a lot of money was wasted to inform us that calcium alone, or with vitamin D, is not sufficient to prevent fracture. Well, of course. We already knew this! Why Are Researchers Ignoring The Calcium-Vitamin D- Vitamin K2 Connection? Gee, I bet YOU have some idea why supplementing with ONLY calcium might not be a good idea. IF these researchers passed human physiology in medical school and have kept up with the current studies published in the peer-reviewed medical literature on PubMed (which such ill-informed research designs make me question), they should know that K2 is required to prevent calcification in soft tissues, including calcium oxalate kidney stone formation. Do I sound exasperated, irritated, way beyond annoyed? You bet. I am so tired of the media trumpeting “findings” that are actually incomplete, shabby “science,” particularly because these “findings,” if mistaken for truth, can really harm us. My hope is that now that you’ve read this, you will not be among those harmed, and you will be on your guard the next time inadequately informed researchers or the media try to put one over on you. Effective absorption and healthful use of calcium requires both vitamin D3 and vitamin K2. I am 53 & have been told I have osteoporosis in my spine and osteopenia in my hips. It sounds like I need to take more vitamin D.& K and I’ve heard to take boron along with my calcium. Do I need Strontium also? If you have osteoporosis then we do recommend taking Strontium as well. Our AlgaeCal Plus has plant-based calcium, magnesium, vitamin D, vitamin K and boron plus vitamin C and trace minerals – all in their proper proportions for optimal bone health. Taking our AlgaeCal Plus and Strontium Boost will ensure you are getting the bone building vitamins and minerals you need while giving you correct ratio of AlgaeCal to Strontium too, which is important. I’ve been interested, researched and practiced healthy eating ever since I was 29, I’m now 78, and the best thing I have learnt is the medical profession knows nothing about diet or natural healing, and even when you tell them about your success they just close their ears and turn away. Like my similar aged I would be sick and on multiple pills if I had followed their ‘advice’. The only thing I can advise people to do is read about alternate ways of benefiting your health, try it out on your own body, and if it ‘works for you then it is the right thing for your body. Just when I think that the medical profession is finally understand what nutriments the body needs to be healthy they come up with the same of crap, like calcium doesn’t help with bone health. They are determine to undermine people from making alternate, healthy choices whilst steering them towards medical pills. Don’t be conned! You make a great point and we definitely agree- you know your own body and if something works for you, go with it! I wish I could take “AlgaeCal” I ordered 6 bottles a while ago. Before I finished my first bottle, I had found out that my “Graves disease ” was acting up. So I have to stop taking it. I have osteoporosis and I don’t want to end up in the nursing home from breaking my bones. Please advice if there is any alternate ways to prevent my osteoporosis getting worse. Currently, I am taking 1500mg of calcium citrate with Magnesium and Zinc, 4000iu D3 and 90mcg MK7 every day. I am 65 years old 112lb. I really appreciate if you can help me. Thank you. Not sure why AlgaeCal Plus would be contraindicated in Graves’ disease. What in AlgaeCal Plus are you thinking is a problem? I am 74 years old and a little more than a year ago I was told by my doctor I have osteopenia. My daughter in law told me about Algaecal and I have now been using it daily along with 2000IU of Vitamin D. Originally I was taking STrontium Boost as well – however I was not feeling well after taking it so I stopped to see what would happen. I immediately felt better but since I had just purchased a second supply I have tried taking it every second day – but even that is too much. Then in August this year I ended up with kidney stones which I had never had in my life. I would really appreciate your thoughts on this Dean. Your staff have certainly tried to reassure me – but I still wonder if calcium and vitamin D are sufficient. Is there enough Vitamin K in Algaecal ? Why now would I have kidney stones? What to do with all this strontium ? I would really appreciate your advice. My husband and I are also taking Triple Power – my omega 3 level was over 11 when we started as I have taken it in capsule for a long time – however his level was only about 4 because he could not digest the capsules very well and didn’t like the constant fishy taste he experienced. Triple Power is tasting great and no after effects. We have only been taking it for a few months so don’t know results yet. Looking forward to your thoughts. Thank you for sharing. Dean and I have spoken and agree that Lara is the most up to date with the latest research on kidney stones. I will forward your comment along to her and she will be able to give you some great advice that will hopefully answer the questions you have. If Strontium Boost disagrees with your physiology, then do not use it! YOU are unique, always remember this and trust what your body tells you. If you could let me know your DXA results – i.e., how osteopenic you are – I can give you more specific input, but typically, unless you are significantly osteopenic/borderline osteoporotic, your bones will rebuild without the use of strontium. AlgaeCal Plus will provide sufficient calcium, magnesium, boron and other trace minerals. You, however, may require additional vitamin K2 (preferably in the form of MK-7) because you are getting 4,000 iu of D3 daily (2,000 iu in AlgaeCal Plus and the additional 2,000 iu you mention you are taking). An acid forming diet resulting from consumption of too much salt, animal protein, phosphates (processed foods, sodas are extremely high in phosphate additives, and these phosphates are close to 100% bioavailable and disrupt kidney function). I am attaching for you an article I recently wrote for IMCJ on phosphate toxicity, which unfortunately, has become all too common. The current typical intake of phosphates in the U.S. is frankly, shocking, and is contributing significantly to both kidney disease and cardiovascular diseases. A high sulfur diet may also be acid forming – high sulfur foods include cruciferous vegetables (cauliflower, cabbage, watercress, broccoli and other leafy vegetables), dairy products, eggs, onions and peas. These are typically healthful foods, but if your diet includes excessively large amounts of these foods for YOUR physiology, they can contribute to kidney stone formation. High oxalate foods may also contribute to kidney stone formation – here’s a link to the World’s Healthiest Foods discussion of oxalates and which foods contain the most oxalates. http://www.whfoods.com/genpage.php?tname=george&dbid=48 Check your diet and see if you are consuming large amounts of these foods; if so, cut back a bit on serving size and frequency with which you eat them. #2 – Insufficient intake of vitamin K2 for YOU to balance intake of vitamin D3 & calcium. If you have a copy of Your Bones, please read the sections on vitamin K, specifically pages 190-196 where I discuss genetic polymorphisms (SNPs) that impact our vitamin K needs. IF you have had blood tests run for cardiovascular issues, you may know if you are APOE4, a lipoprotein single nucleotide polymorphism (SPNs) that increases your K2 needs. If not, this is a standard lab test that should be covered by your insurance. I suggest you ask your doctor to order it run for you. Insight into whether or not you carry the other SNPs that increase K2 needs can be provided by checking your INR – a test that checks how quickly your blood clots. Your doctor will know about this test as it is used to determine a patient’s dosage for anticoagulant medications. The easiest, and in my opinion, best way to check your vitamin K2 sufficiency is to have a blood test run to evaluate your levels of uncarboxylated osteocalcin –unOC. This is a cutting edge test that is just now becoming available outside of the “research world,” so only a few labs offer it as of yet. Here’s a link to an excellent lab that is now running this test: Genova Diagnostics — https://www.gdx.net/product/vitamin-k-test-serum One of the key jobs of vitamin K2 is to activate osteocalcin, a protein that, if activated,, pulls calcium into our bones. High levels of unOC mean that you do not have enough K2 to activate your osteocalcin. You could just, very safely, increase your intake of K2 by taking an additional vitamin K1/K2 supplement. I need to do this myself because of my SNP issues – I have a SNP for my Vitamin D receptor that causes it to work very poorly, so I require far more vitamin D than the “average” person to get enough into my cells. I need 10,000 iu /day of vitamin D3 and therefore also need at least 400 mcg of MK-7 daily to balance my vitamin D intake. I have been taking 400+ mcg of MK-7 daily for more than 8 years now with highly beneficial effects and no adverse ones. K2 is extremely safe – in human studies dosages greater than 800 mcg/day have been used with not a single adverse effect, and in the research on patients with kidney disease, 360 mcg /day has been used with highly beneficial effects and no adverse effects. Definitely, keep taking your Triple Power! EPA/DHA are highly protective against kidney stone formation. I just scanned PubMed and found many recently published articles discussing the protective effects of the omega-3s on kidney function. Furthermore, the turmeric in Triple Power significantly adds to its protective effect on kidney function. Tamma S, Shorter B, Toh KL et al. Influence of polyunsaturated fatty acids on urologic inflammation. Int Urol Nephrol. 2015 Nov;47(11):1753-61. doi: 10.1007/s11255-015-1108-8. A number of researchers are now reporting on the destructive impact of mercury in fish on the kidneys. Of course I , like so many others feel as if (as so often the case with ongoing nutritional changes in “wisdom” ) are again confused and frustrated. Thank you for your comments about the recent study please on calcium supplements. PLEASE go into detail your defense of the Stontinum aspect of bone supplementation. I have read very conflicting information on this as well. As a ( on and off with my consistency ) consumer of food based bone support , including and especially algae cal plus /strontium boost I have been strongly aware of the different approaches / and formula of Strontium with differing brand products, ( and pricing !) Add to that the negative press I read at times re the consumption of Stontium supplementation I am REALLY even more confused! The following are great resources on Strontium (both forms) and their safety and efficacy. Thanks so much for sharing your story. It’s so important that you receive all the information you need to make an informed decision about your health – and it sounds like you did that :). So wonderful to hear about your busy, happy and active life! I am so happy to read comments such as this. I just recently failed my dexiscan miserably, doc commented that I have bones of an 88 year old, at high risk of fracture and I am in my early 60s. Doc said I needed to go on a drug I think is absolutely frightful. How long did it take you to get back to where you are now?